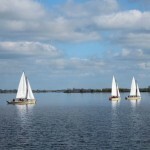 The Weerribben-Wieden National Park is the largest area of fenland in northwestern Europe and is divided into two areas: De Weerribben and De Wieden. 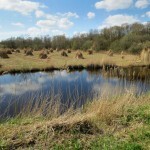 The vegetation and wildlife, such as the otter, black tern, northern pike and water soldier, are typical for an area like this, which is full of peat and water. 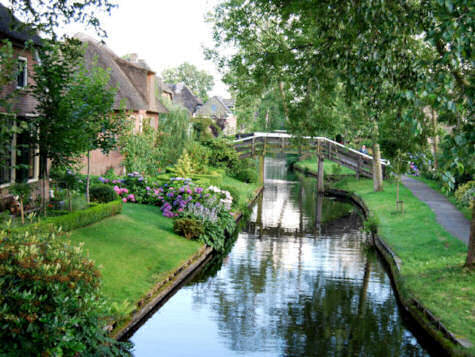 Giethoorn, the Dutch Venice, is situated in this park and the base of your tour. Not only will you discover this ca. 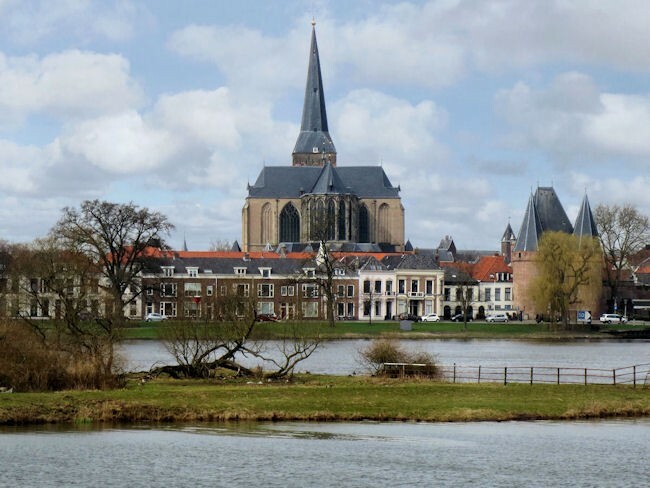 100 km2 nature reserve, but you will also discover the towns of Kampen, Hasselt and Zwolle, which are all members of the historically powerful and wealthy Hanseatic League. Your Tulip Cycling representative will meet you at the central train station in Kampen. Situated on the recently opened ‘Hanzelijn’ railway line, Kampen is just a bit more than an hour’s train ride away from Amsterdam. After your bike fitting and the explanation of the route, you are in for a lovely ride to Kampen, a beautiful Hanseatic town, which you will want to stop off and take some time to meander through. 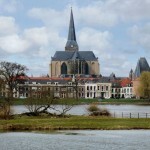 From Kampen you cycle to the Wieden National Park. On your way, you pass by the lovely historical village of Vollenhoven and the Visitors Centre de Wieden in Sint Jansklooster before cyclying on to Giethoorn. This small village, still only accessible by boat, is also known as the Venice of the Netherlands. 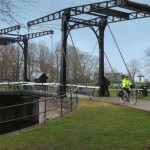 The small village, measuring 5 km and just two blocks of houses, has over 180 bridges and many of them are only accessible by bike. The village of Giethoorn fended off competition from some 182 contenders across the world to achieve a place on the board of the new international edition of Monopoly. If we ask our customers which part of their bicycle vacation in the Netherlands they liked most, the answer is certainly The Weerribben . Why you may wonder? There aren’t any impressive, historical towns or one of those famous Dutch museums in this area. It is because the countryside and its bike lanes are so beautiful that you can’t describe them in words, you just have to discover them yourself. The chocolate box farms with thatched roofs in Giethoorn and Dwarsgracht are exquisite . 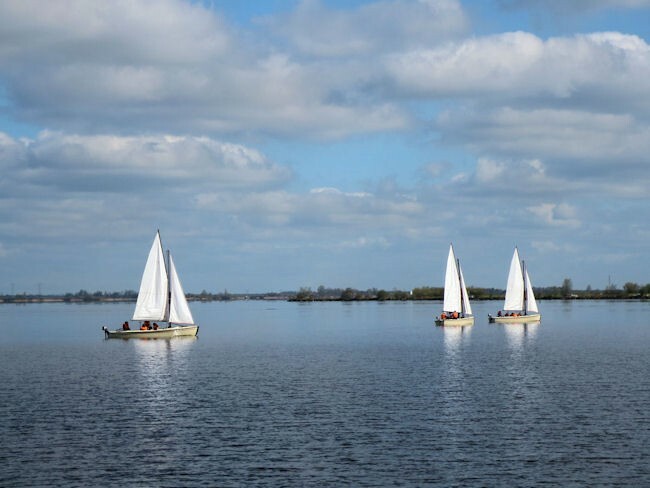 Furthermore, the historical village of Blokzijl is very popular for water sports enthusiasts, giving it a lively ambiance, but most of all its just the countryside and its quietness which keeps impressing you all through the day! The owner of the Harmonie Hotel is also a watersport enthusiast himself and can offer you boats which you can rent to explore the canals yourself. A totally different cycling day in which you leave the park and although the sightseeing may not be that spectacular, it is still very striking. The area east of Giethoorn is a lovely mixture of farmland and woodland areas with impressive fields of heather. 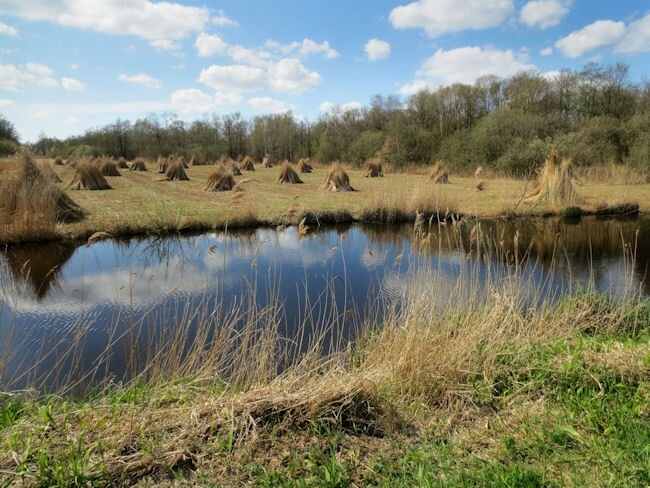 The towns of Steenwijk and Meppel are a pleasant counterpart to the countryside you have seen before. So, stroll around the shopping areas, have a lovely coffee or lunch break and maybe visit one of the small museums in these towns. The forest, heather fields and farmland in between both towns make it all together another great ride. On your final day you will cycle through the Wieden National Park once again. 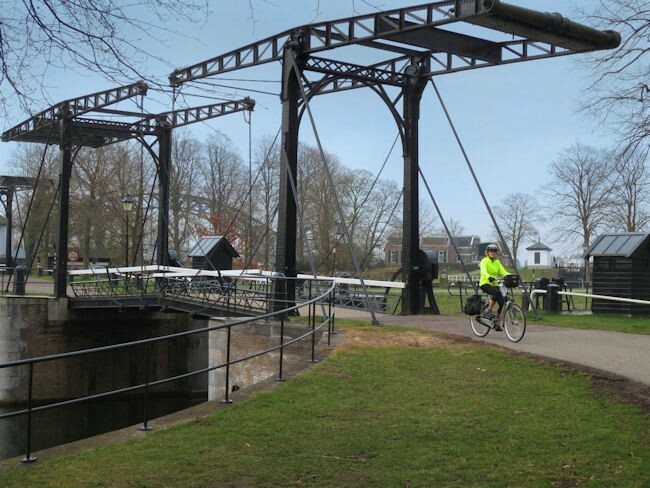 The impressive lakes and the picturesque village of Belt Schutsloot, with its never-ending number of bridges, is the final part of the park before cycling to the more open river landscape near Hasselt and Zwolle. Cycle on bike lanes on top of the dikes, look around at the scenery before reaching Haerst. In Haerst, there is an attraction that you don’t expect to see any more in such a wealthy country as the Netherlands: a farmer running a 100-year-old ferry, manually operated and only accessible for cyclists and pedestrians. The Hanseatic town of Zwolle is the final highlight on your tour and you can cycle through the old historical streets, with their cobbled stones, which brings you to the end of this perfectly unforgettable trip.